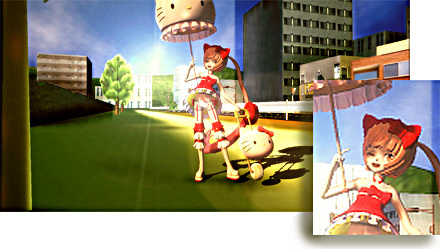 MikuMikuDance is used for animating and making pictures. I’ve seen a lot of articles on LearnMMD about animating and effects (especially effects) and I couldn’t find an in-depth article about MMD’s image capture capability. 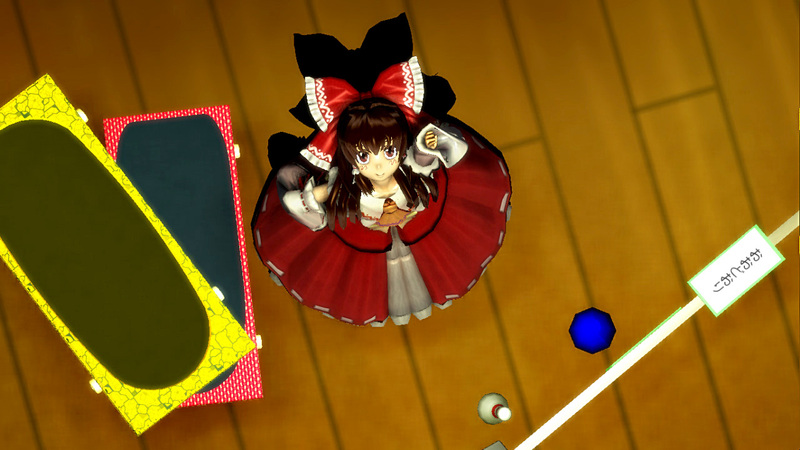 So, here are some tips and tricks for making a cool picture using just MMD. … and fun to do! 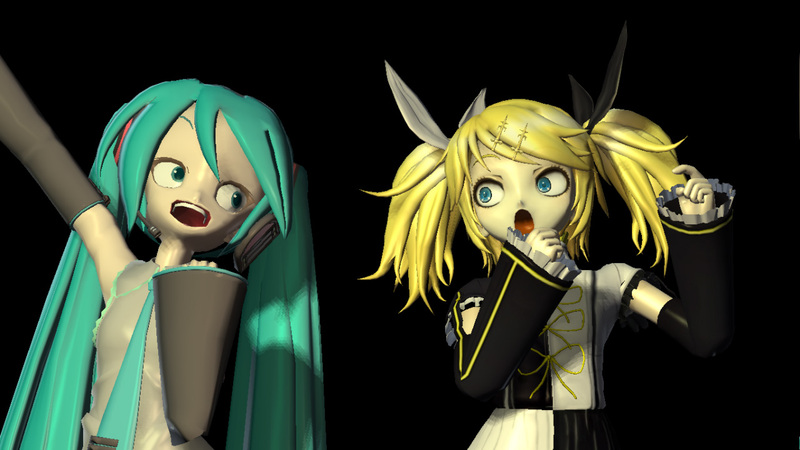 You can set the image size for your new MikuMikuDance pictures. Under the VIEW menu is the Screen Size option. Enter the dimensions for your picture. See FA’s article about adjusting screen sizes for 1080P resolution. Click picture to see the full-size image! Blocking it in. First I like to block in the basic pose. So, for example, I want to pose Miku dancing (or something similar). I would block in her legs, arms, head, and maybe her back, but I would ignore her feet, hair, skirt, fingers, neck, etc. Putting in some details. Now is the time to put in the fingers, neck, and feet. You also might put in the skirt or hair at this stage. By the way, this would be a good time to start planning the facials. Fine-tune any parts you aren’t happy with, and put in the facials too.You can also move her around and make sure that leek/mic is still in her hand. Posing might be important, but there’s still more. Read on! The dummy bone will be useful at this step to move the stage and other objects around. So if you haven’t loaded it yet, now would be a pretty good time! Think about what environment Miku will be dancing in. Will she be in a school? A park? A city? Or what about a stage? Load your stage of choice and attach it to the dummy bone just in case. (Dummy bones are your best friends here!) Move the stage around to get the model where you like. City Stage: Add some people in the background. Maybe even some tables trees or cars. Make the model’s world believable. Park Stage: Add some children playing and some chairs and umbrellas. Performing Stage: If you want the model to perform with others, add people. Add microphones, props, and lights. Maybe even a camera! Beach or Water Stage: Add boats and people. Towels and umbrellas would do wonders on a beach stage. Also…if your model is on a plain floor and it seems empty, try putting some little objects around the sides. You can rotate and move them around as you see fit. A short section on lights. If there is a light source (sun, lamp, overhead lights) in your pictures, you might want to add some lights, even if it isn’t a performing stage. It makes the picture a whole lot more realistic. Putting effects in your picture often makes it looks awesome, if not totally true-to-life realistic. SoftShaderFull+ Diffusion7+SSAO. It’s that simple. SoftShaderFull can be found here (http://browse.deviantart.com/art/Shader-Pack-1-319415071) while the other two can be found in the above links. So! We’ve viewed how to set your image size, pose a model, make for realistic environments, lights, effects, how I despise Lat models (don’t kill me…) and some camera angle tips from fellow LearnMMD authors. The last step is to Renter to Picture File. Go to the FILE menu and select Render to Picture File. Name your image and where yu owant to save it to … select the file-type you want to make. Click SAVE or OK … and you are done. I think now is a good time to wrap up the article. Hope you enjoyed it! #socks: Have you tried to uncheck “View->Display coordinate axis”? For some reason when I render to a pic, the x, y, and z axis show up. How do you make it go away? There are times when I render a picture the render window is black and the picture I get is completely black… Help?